Okay, quick quiz: What is the largest living organism? Why yes, you’re right, it is the colony of honey mushrooms (Armillaria ostoyae) covering 3.5 miles in the Malheur National Forest in Eastern Oregon. Wow. 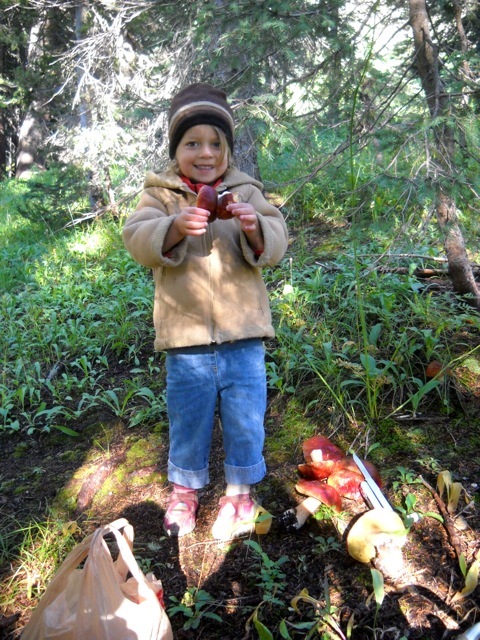 Rose, 2010, on very successful mushroom foray. We’re studying fungus in our homeschool co-op and I’ve been bending my mind over these wacky creatures that are neither plant nor animal, and who, like the fungal incarnation of both the participants of Burning Man, and the Socialist Party, live with total faith in the abundance of the universe, and the belief in equal distribution of goods and services. 1) The mycelium (“roots” of mushrooms and other fungi) grow underground, lapping in and around the roots of vascular plants (trees, shrubs, grasses, wild geraniums…etc). 2) The mycelium digest nutrients in the soil (nitrogen, phosphorus, potassium, zinc, copper…etc) and deliver them to the plant roots, increasing the health, resiliency, and reach of the plant. 3) The plants move sugars (sucrose, glucose) from their leaves (result of photosynthesis) down through their roots for the fungus (unable to photosynthesize) to absorb through their mycelium. It’s the barter system! It’s my new religion! It’s my new political party: the socialized abundance party! Let’s take care of each other and share our abundance. 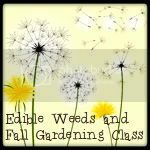 (In which dandelions, roadkill, apples, and unbounded love count as abundance, naturally). 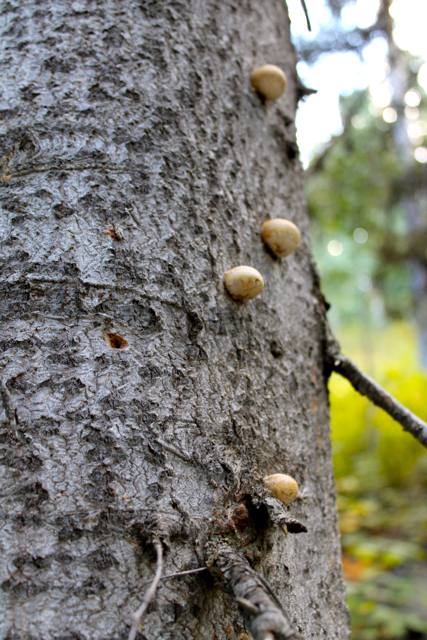 Also, it has been discovered that fungi are able to divert nutrients away from thriving trees and direct them to suffering trees. I love this. Thanks Deb and Jeff for the pins! We love them! (Even if we are also a little melancholy about them). This symbiotic relationship is happening in your garden – if your soil is healthy it’s lousy with mycelium. Your tomatoes and cucumbers are benefitting from their own anonymous subterranean fungal hook ups, in which everyone wins. (This is one reason I don’t till my garden—I just keep adding organic matter—so as not to disturb the mycorrhiza). 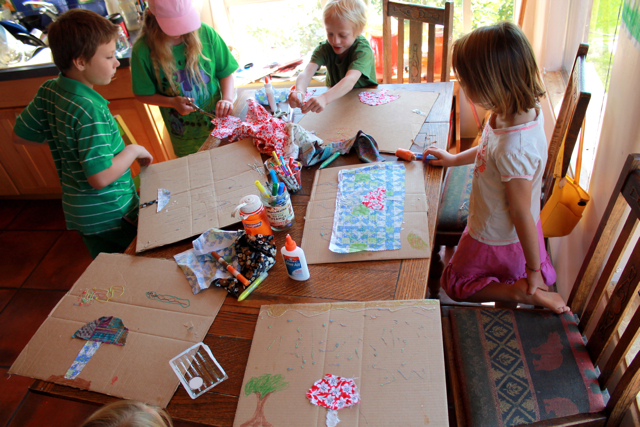 This is also how our homeschool co-op works. Together (kids and parents), we decide on unit topics and we meet every Monday, each parent taking a turn teaching the children, with a monthly, all-family field trip. Also, through a local program called “shared school,” Col and Rose (who just started kindergarten! My baby!) go to our local public school (the one I can see from my kitchen window) 2 days/week in a classroom with about 40 other homeschooled kids, kindergarten – 5th grade. This is also part of the socialized abundance program. Col and Rose love it, it allows me to work (and occasionally exercise), it gives Col and Rose a sense of belonging within our neighborbod school, and honestly, allows me to homeschool without becoming the kind of animal that eats her young. 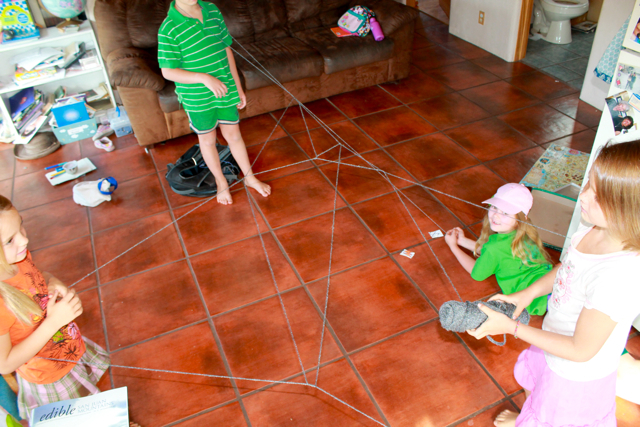 Kids making their own mycelial web with yarn. 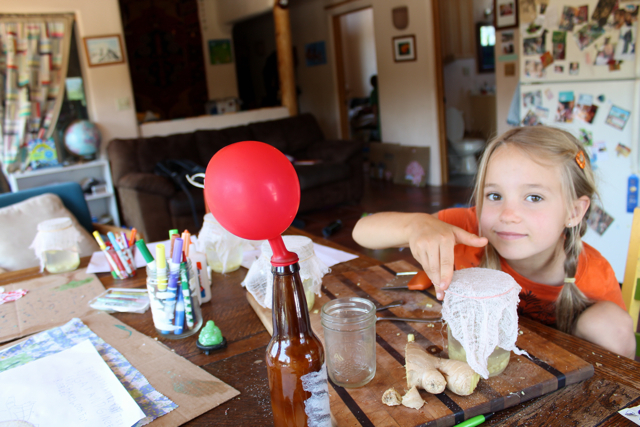 Common baking yeast (which are fungi) exhaling CO2 into a balloon! This is actually a really cool experiment: mix 2 TBSP dry baking yeast with 1 cup warm water and 1 TBSP sugar. Place in glass bottle with stretched balloon over the top. The balloon will gradually inflate. 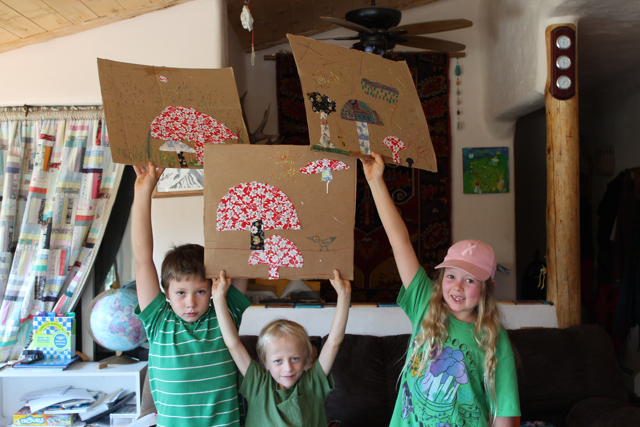 Also, we made fermented ginger ale with the kids. 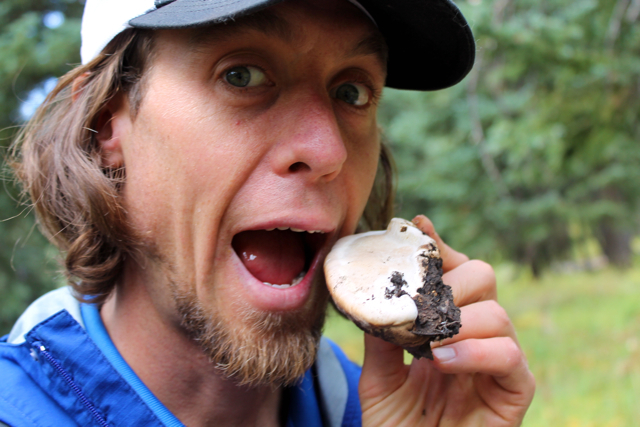 We were lucky enough to get our local Mushroom Guy, Chris Ricci, to take our homeschool co-op plus sibs on a mountain mushroom walk. Chris Ricci is available for hire. Website here. 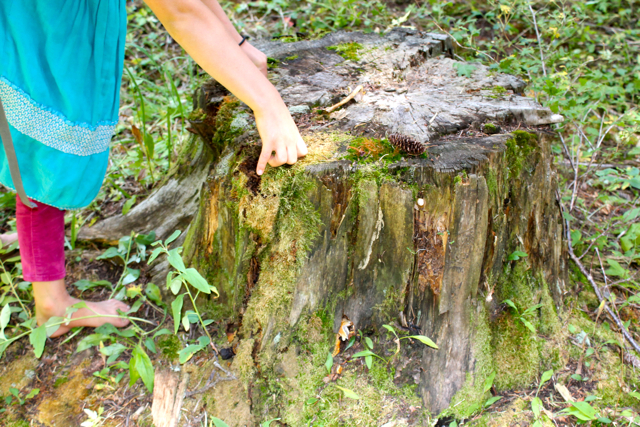 This decomposing stump is colonized by saprophytic fungi, which digest dead matter (leaves, wood, cow patties), and return nutrients to the soil. 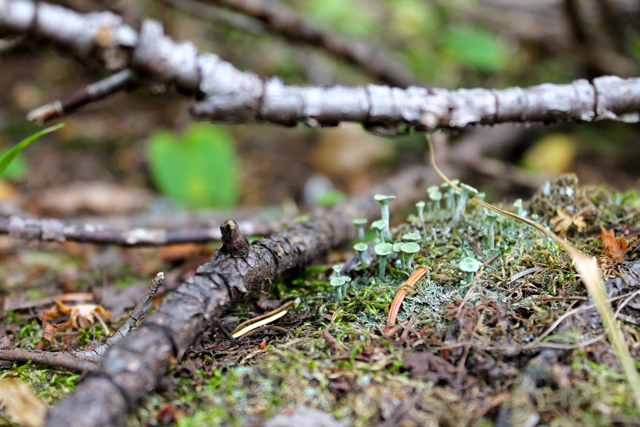 If it weren’t for these fungi, forests would be a giant undecomposed compost heap. Also, those are Alina’s feet, which remained completely and amazingly barefoot on our entire hike. Lewis squeezing spores out of a mature puffball mushroom. False morels. “Pretty poisonous,” says Chris. Cody, getting nibbly on a polypore. Lichen, which incidentally, are part fungus part algae. The fungal part digests ROCK and shares minerals with the algae, which photosynthesize and share its carbohydrates. What’s your superpower? Dried porcinis for the latest batch of rooster broth. Rooster broth? That doesn’t sound so good. But it is! And the dried mushrooms make it even richer. Col, bless his heart, has been taking weird mushroomy chicken soup to school in a thermos. Since studying fungus, I am seeing mushrooms everywhere. Little buttons popped out on a tree, homely brown hats on a lawn, tiny grey parasols in my greenhouse. And also, since thinking more fungally, opportunities to barter seem to be popping up. At the farmers market last weekend, I was looking for a ten dollar bill to pay for a lovely bag of potatoes. “Can I write you a check?” I asked the farmer, whose kids happen to be in the shared school program with Col and Rose. “Oh, you can wait and pay me at school next week, or, I love to barter…” So, kimchi for potatoes it was. Next, I traded some editing work for a massage. Then, my friend Kristen offered up a slew of veggies from her community garden in exchange for an array of fermented goods. 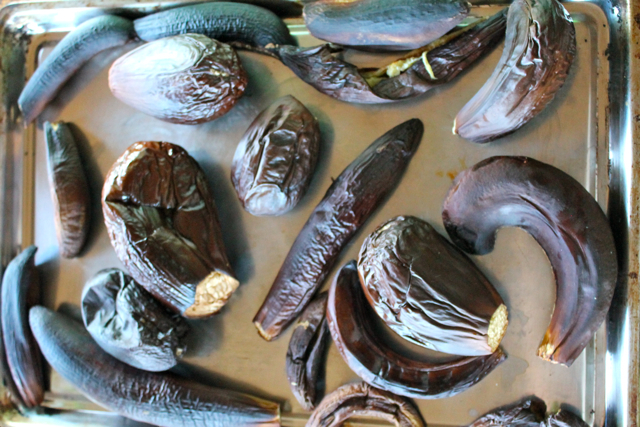 Eggplant after broiling. Slightly homely, but so smoky and sweet. I made this recipe, and it is amazing. The only thing I did different was leave the eggplant skins on, which made lovely purple flecks. 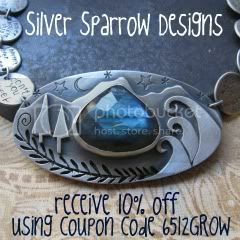 And one more barter that I am so happy about. My friend Tara and I began trading childcare every Monday night so we can alternate going to the Durango Dharma Center for Monday night meditation and dharma talks, which is where I get my head screwed on straight again after 2 weeks of, well, normal life. ppps: More 6512 mushroom adventures here and here. Wow. I mean, can I just come to your magical fairy land if only for a day? The laughter and joy and art of discovery just ooozes from these pictures and your narrative. Yes, I agree with Jennifer! (see above). Actually, I’d like to be a student in your homeschool co op!! Fungus has never seemed so interesting and miraculous before. Wow! Thanks for taking the time to document all of this. And hugs to Col and Rose! yay for the socialized abundance party! fungi is amazing. and brilliant. and a perfect model for how we should be trying to live! quick question, do you know how the shared school program got started in your community? it is such an amazing idea, and instead of merely shaking my head at the awesome-ness of your area, i might think about proposing something like that here. (i, too am a mama who cannot homeschool full time without eating my young). i don’t know if it was already in place when col began going, or if you were a player in it’s introduction, but any info would be appreciated! love seeing your guys’ adventures. I believe it’s been around for 12 or so years here. And I totally think you should bring this up with your school district. My understanding is that the school district receives funding for the shared school students, so it may be attractive to them. thanks so much, rachel! 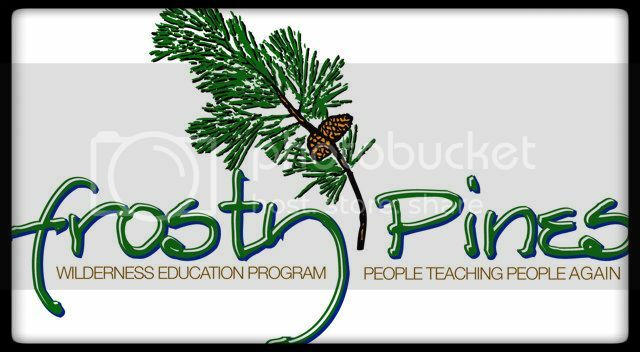 i am going to chat with a few homeschooling families about this. it is an amazing idea! Just yesterday, my neighbor and I were marveling over all the mushrooms we’ve been finding hidden away in our garden beds. A few of them were so beautiful I actually got my camera out for a little macro fun. Long live the barter system! This summer I tutored a kid in English in exchange for a family portrait taken by his photographer father who is enormously talented. Love it! Hooray for bartering! We don’t really have much time for a veggie garden (although every Spring we seem to forget this and try anyway) so we barter our cheese for the rest of our grocery items when we sell at the farmers markets. I bet everyone’s pretty thrilled to trade for homemade sheep cheese! rachel, this whole post just BEAMS happy. it is due in large part to your exuberant heart and beautiful children, but i also think this is part of the vibe of mushrooms. after a morning spent hanging out with the mycelia, i know i always feel down right gleeful. 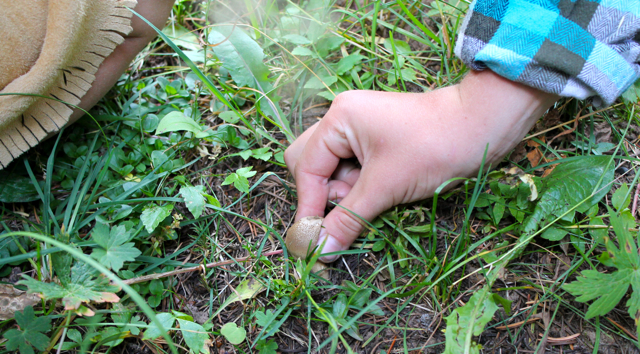 did you see our fun mushroom post from our time in maine? also, that is one hunka handsome mushroom teacher. do they all grow like that in colorado? I LOVE mushrooms!!! 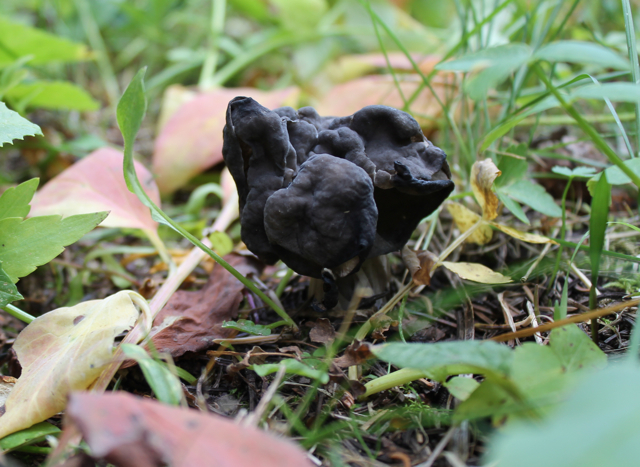 We have ‘puffballs’ in our back yard (no idea the scientific name) Great post! 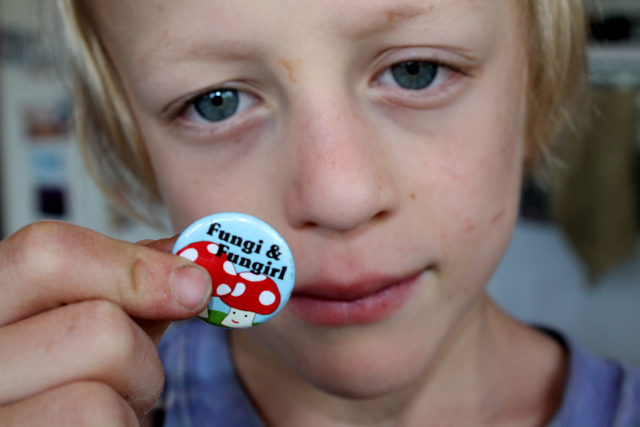 Going to remember to live fungally – you have a beautiful community! wow – totally loving all the mushroom photos. and the eggplant recipe too. Did you read that interview in the Sun magazine a few years ago with that mushroom guy who basically said “slime mold will save the world”? Like they seek out pollution and clean it up. Pretty amazing. I’ve been trying to catch the giant puffballs in my yard at the right state of ripeness, but they always are turning mushy inside when I get to them. 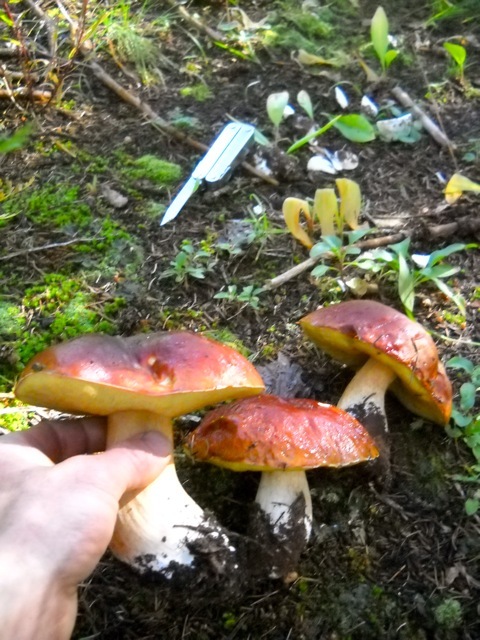 My goal for the weekend is to stalk lobster mushrooms in the woods. That’s ALMOST the extend to my mushroom lore, but I’m eager to learn more. And to join the World Underground Micelieum Liberation Front. I don’t remember that interview in The Sun (beloved Sun), but I watched a TED talk with Paul Stamets, which was fascinating. 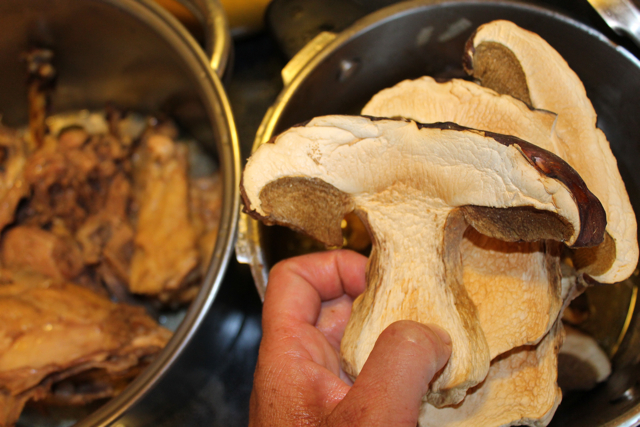 About how within mushrooms there are antibiotics, anti-viral, and cancer-fighting compounds, all stronger than anything we’ve harnessed yet. And yes, all the bio-remediation possibilities are very exciting and promising. Good luck with the lobster mushrooms! ok, there is so much i love about this. i LOVE fungus (see here for one spectacular fungal day: http://plotfiftyfive.blogspot.com/2011/09/solitude-and-celebration.html), and i love your extrapolated ideas of socialized abundance. YES!! 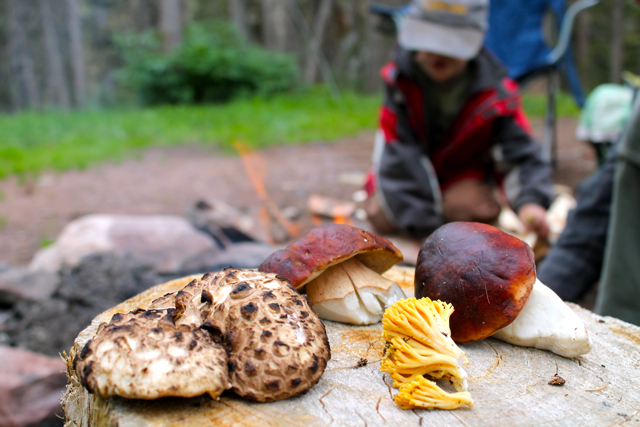 also – i want to know much more about your mushroom class and any great resources you stumbled upon in its creation AND i think 2 days of school with a bunch of other homeschoolers is possibly brilliant, and i’d love to know more about that (maybe the school’s site or something? wondering how to replicate somewhere else…like in ohio, maybe?). HAPPY FALL!! 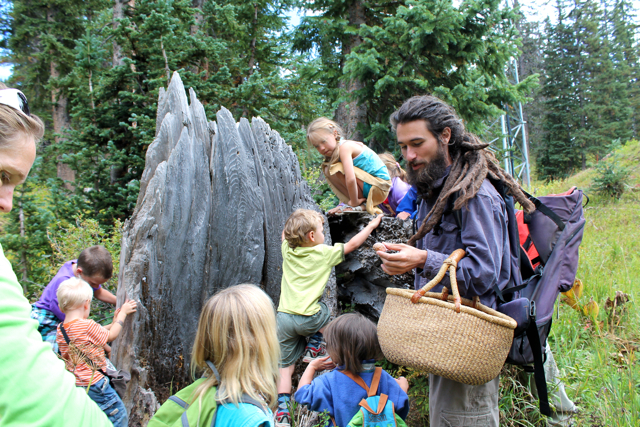 We are lucky to have some great resources here in Durango, like “mushroom guy.” Also, there is a Chinese medicine apothecary, so kids took a field trip to learn about medicinal mushrooms. Lichen and fungi are everywhere. There are cool experiments (Col’s doing one right now) where you can try and grow some fungus on a sterilized agar medium. Also, fungal spore prints are fun. Learning the life cycle of a mushroom and also the physical parts of a mushroom is fascinating. Also, you can order a mushroom growing kit (oyster mushrooms usually) on the internet and that way kids can see the mycelium, and grow and eat their own mushrooms! The internet, unsurprisingly, is a great resource. I couldn’t find much in the way of children’s books, however.